Businesses in virtually every industry need to constantly seek leaner and faster solutions in order to succeed. Integrated cloud solutions are at the forefront of the evolution of data and applications, offering benefits such as increased flexibility, better scalability and improved access to information. Because cloud integration breaks down data silos and bolsters connectivity, it’s easier to share data across various applications or unify data from disparate sources into a single location. It’s clear that implementing integrated cloud solutions can be a great boon, but how do you begin the process? Here’s what you should know if you’re interested in achieving cloud integration within your company. Data Integration: Here, the goal is to share or unify data across various repositories where data is stored. The data integration process allows you to transport and transform data in order to unearth valuable business insights using Predictive Analytics (PA). Cloud data integration gives companies more options in terms of how to leverage their data since businesses can access data from their various teams in one place. Application Integration: This involves connecting two or more applications and allowing them to share their functionalities and operations. Unlike data integration, application integration issues requests and commands that lead to improved business processes. In application integration, a company can combine its supply chain management tools with its customer relationship management systems in order to streamline operations. Application integration makes it easy for businesses to share data with the goal of automating processes. Companies that offer logistics and delivery services may be better suited for cloud data integration to determine how to get a product from one location to another with the least amount of hassle. Financial and education companies may benefit more from cloud application integration to more easily unify various tools for managing client or student accounts. Keeping Company Information Up-to-Date: Moving applications to the cloud allows them to synchronize with each other, making sure that users can always find the most recent data. If a user makes a change on one application or dataset, this change is reflected in other applications or datasets immediately. Automating Operations: Cloud integration automates a number of manual operations while increasing their accuracy. For example, cloud integration could automate the process of integrating new employee payrolls, updating tax records and creating new email accounts. This saves time for employees and increases the efficiency of interactions between datasets or applications. Cutting Costs: With cloud integration, businesses can cut costs and focus on more customer-centric work. Most companies spend a fortune to keep their operations running smoothly with a team of workers tasked with ensuring that all software runs smoothly. However, cloud integration tightly integrates a company’s processes so it takes less middleware and talent to manage it. Scalability: Cloud integration makes it easy to scale up or down, depending on a company’s requirements. This means a company can buy as much or as little cloud bandwidth based on customer demand and easily make adjustments as needed. By leveraging integrated cloud solutions, your business will be able to keep up with the competition or even surpass competitors who have failed to upgrade their systems. The cloud integration process varies from business to business, as the right development team will tailor the process to your specific needs. However, there are various requirements that the cloud integration process typically includes. First, your company will have to find the right connectivity protocols and techniques to fit your business requirements. This means you will need to find a way to connect applications and data in a fast and easy manner that doesn’t require a lot of maintenance. Talk about this with your developer, as they can help you find the best solution for your goals. It is also necessary for your business to transform the format of its data and applications into one that fits that of the cloud environment you will be implementing. For example, when you migrate customer information, it’s important to know whether a customer ID number is numeric or has alpha characters. Once you know this, you can properly determine how to transform the ID number in a way that is consistent across various applications. You will also need to create a service-level agreement (SLA) that supports the new, combined environment. Such an SLA should consider security, governance, performance and management of your cloud environment. Implementing integrated cloud solutions is critical in today’s competitive world. Doing so will allow you to automate work processes, access data quickly and efficiently, and reduce expenses. It’s an investment that will likely pay off in significant ways. In order to ensure the cloud integration process goes smoothly, you will need to work with a skilled group of developers. The team at SevenTablets specializes in cloud integration and app development, and we take a “business first” approach to create a plan tailored to your company. We also offer services related to emerging technologies such as augmented reality, virtual reality, blockchain and natural language processing. 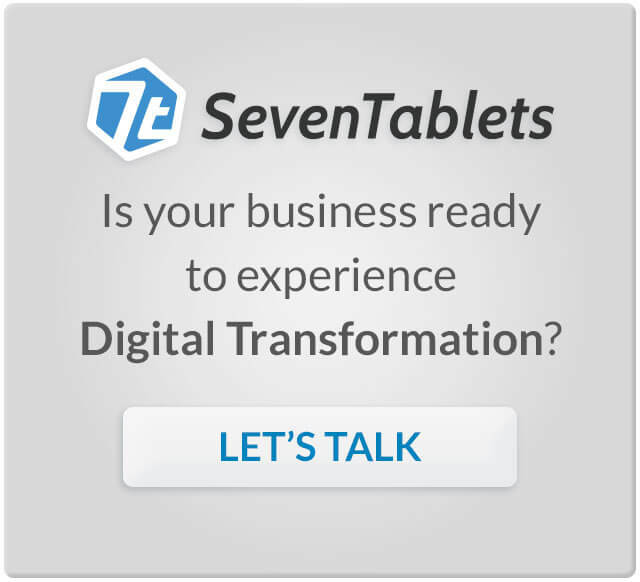 SevenTablets has headquarters in Dallas, but we also serve clients in Austin, Houston and across the nation. To get started with cloud integration, please contact us today.